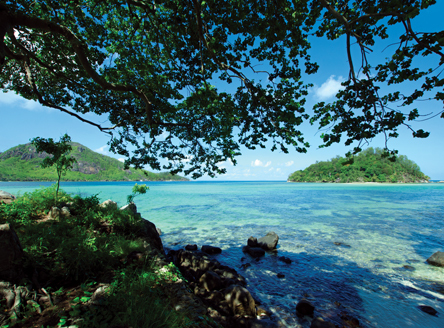 Enchanted Island Resort voted Seychelles' Leading Resort at the 2017 World Travel Awards. 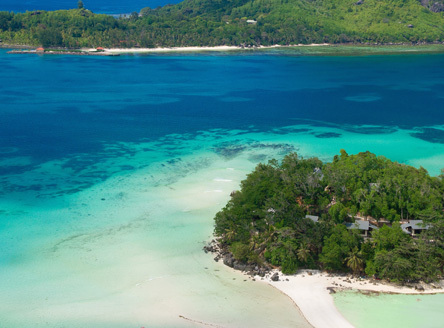 Situated on Round Island, just a 10 minute speedboat ride from the main island of Mahé, Enchanted Island Resort is a luxury hideaway of exclusive villas on a tiny island paradise, surrounded by the turquoise seas of Sainte Anne National Marine Park. 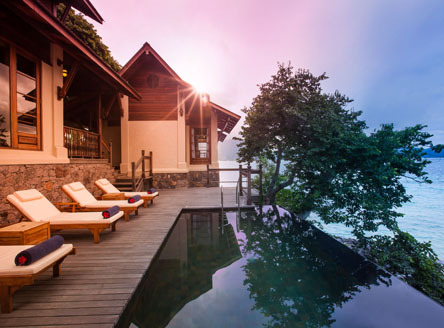 The hotel comprises of just ten spacious villas, each with a private infinity pool. 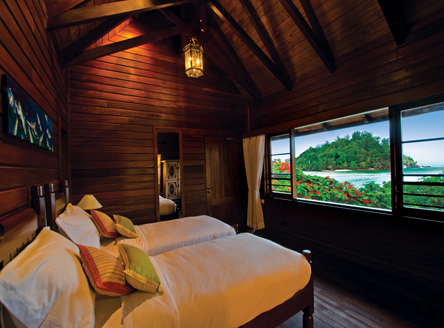 It is the only accommodation on the island and provides guests privacy and outstanding levels of service, lovingly designed to reflect the romantic heritage and charm of old Seychelles, both in the architecture of the buildings and the landscaping - all designed to provide a relaxed, 'homely' atmosphere. 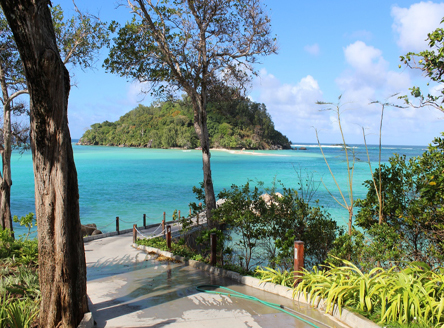 The resort's facilities have taken shape around the island's 8 acres of white sand beaches and lush, tropical vegetation; walkways weave through the natural landscape of granite rock formations and flowing greenery. For a truly memorable occasion, whether it's a wedding with friends and family, or a special anniversary or birthday celebration, why not rent the island exclusively for a maximum of 24 guests in the 10 private villas? 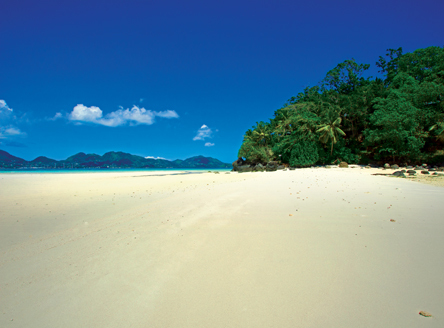 Talk to the team here at Just Seychelles; it may work out cheaper than you think! 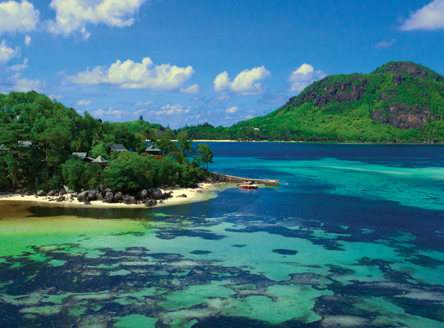 Most guests will arrive on the island following an exhilarating 10-minute speedboat ride from Mahé Island. 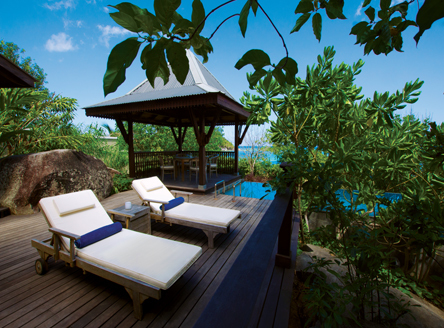 Secluded villas, all named after endemic Seychelles plants, sit harmoniously with their surrounding landscape and are designed to reflect the unique charm of Creole architecture with much use of local takamaka wood. 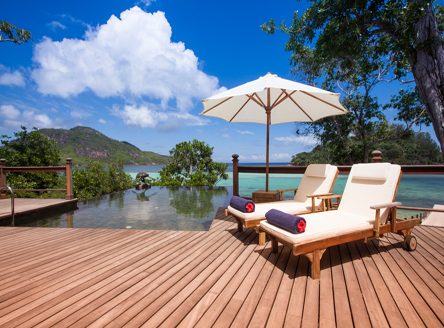 All have an infinity pool on the large private deck complete with sun-loungers, gazebo with day-bed and dining pavilion. 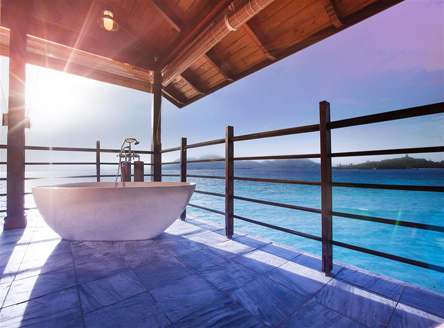 Each also has an outdoor shower and bathtub as well as a private walkway leading directly down to the beach and ocean below. 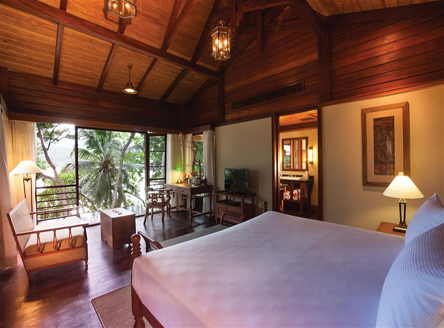 All villas have a luxuriously furnished bedroom with king size bed and a separate lounge area. 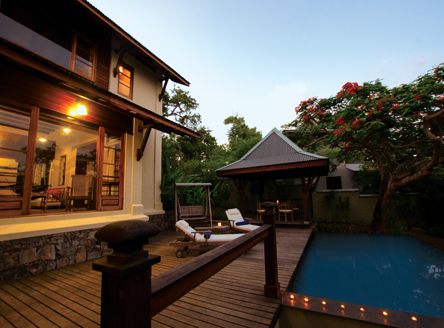 In-villa 'entertainment' includes an LED satellite TV, DVD player, iPod dock, as well as complimentary wifi access. 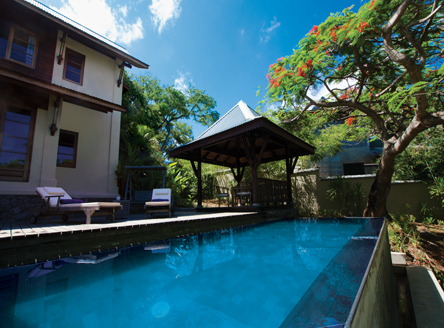 Reflecting the heritage of Seychelles, the villas include over 150 pieces of antique and restored furniture, together with many other items personally selected by the owner. Guest's personal preferences are catered for in the villa's mini bar while private Butler service completes the exclusive feel to this private island. 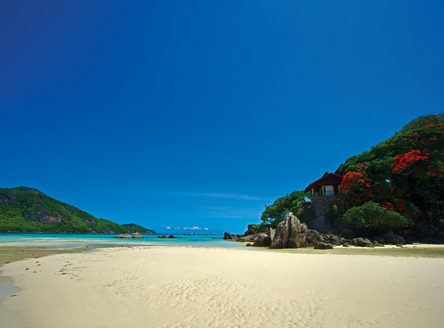 With just 8 one-bedroom and 2 two-bedroom villas, this small island paradise is perfect for a Seychelles honeymoon. Dining is a sheer delight at Enchanted Island Resort with exquisite cuisine created by the island's chefs. You decide whether it's breakfast in your villa, a picnic on the beach, or a moonlight barbecue dinner served by your butler beside your private pool. The hotel's main restaurant - Bounty - is set in an idyllic position beside the main pool with views toward Moyenne Island and serves à la carte breakfast, lunch and dinner. The Castaway Bar has an arrray of exotic cocktails and aperitif's. Set on the island's hilltop, the Serena Spa has three treatment pavilions, each with their own steam room, shower and terrace overlooking the ocean. It offers a choice of 30 different treatments as well as an 'Adam & Eve' couple's massage. Facilities on the island also include a gymnasium with the latest cardio vascular equipment, as well as free use of snorkelling equipment and kayaks. All guests may take advantage of a complimentary boat transfer to/from Mahé island once daily; this leaves Enchanted Island at approx. 10.45am and returns from Mahé at around 5pm. 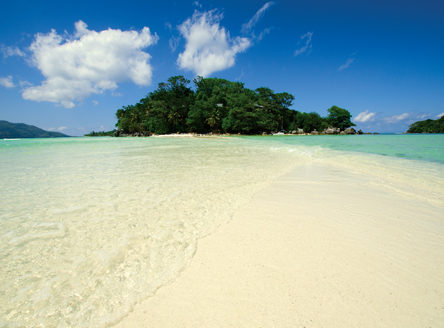 Why not combine Enchanted Island with a stay at another luxury Seychelles hotels or one of our fabulous Catamaran Cruises? Approx. 20 minutes - by private car and speedboat. 10 air-conditioned villas (8 one-bedroom and 2 two-bedroom) 118m²-243m², all with private infinity plunge pool, ceiling fan, king size bed, separate living room, outdoor bathroom with French bath & shower, hairdryer, LED satellite TV, DVD player, iPod dock, complimentary Wifi, safe, tea/coffee, mini-bar (stocked with personal preferences), Jacuzzi, spacious terrace with gazebo, daybed, sunloungers & private dining pavilion. Private pathway to beach. 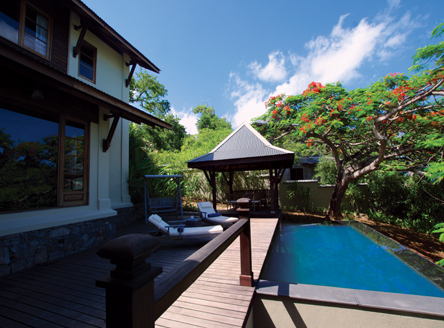 From £3069 per person for 7 nights Bed & Breakfast in a Private Pool Villa including flights from London & transfers. Looking to book this hotel from outside of the UK? 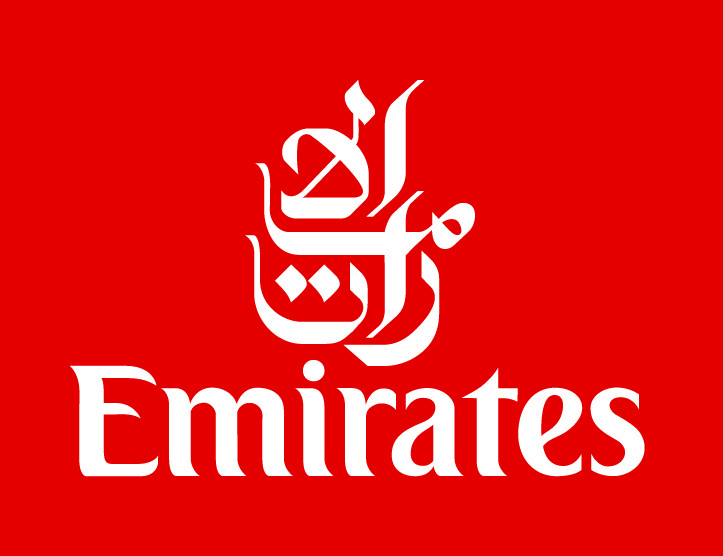 We can arrange accommodation with transfers as above from €2449 or US$2549 per person (excluding flights). Save up to £1,200 per person, plus enjoy a free boat transfer, a three-course a la carte meal, and a couples' spa treatment. 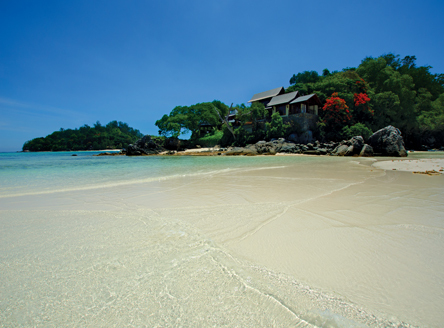 Seychelles' newest private island offering luxury villa accommodation. 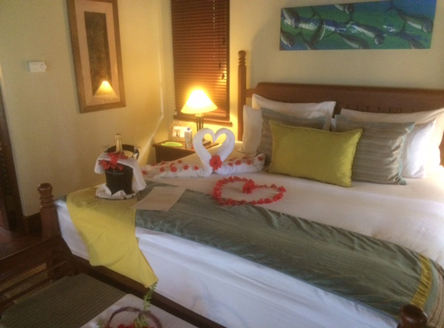 Good value for an exclusive island rental for a special anniversary or birthday celebration. Welcomes children 12 years and over (except on exclusive island rentals when younger children can be accepted). 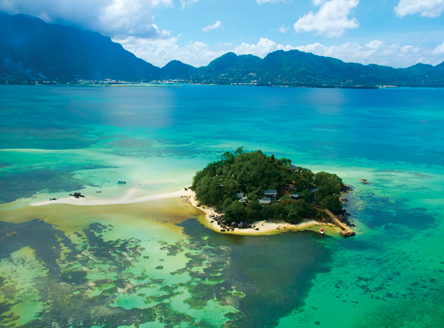 Set to become a luxury island hideaway and yet only ten minutes by speedboat from the main island of Mahé; perhaps this is the real bonus of Enchanted Island. 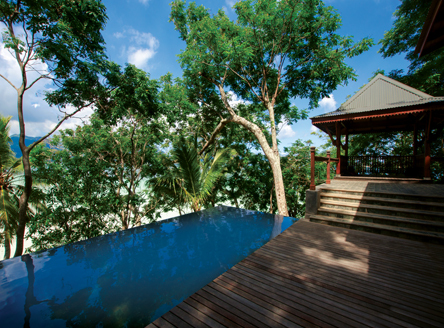 Just 10 Villas, all individually designed - and all with private plunge pool - offer privacy and seclusion. 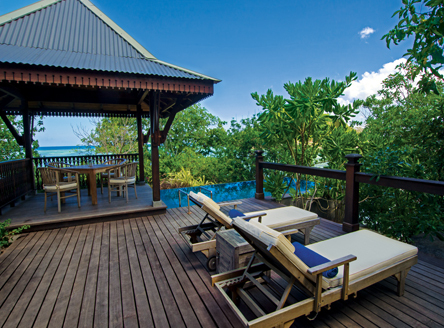 Fine dining, a hill-top Spa and exclusive service complete the picture on this island paradise! If you feel the need to 'escape' this island sanctuary, you can take advantage of a free speedboat transfer (once daily) to/from Mahé island. 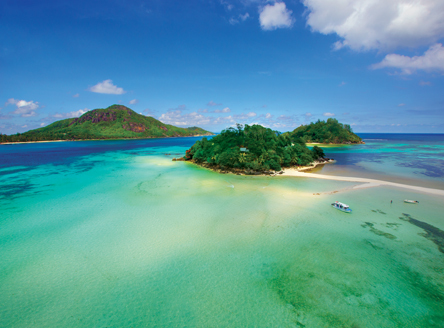 Why not combine Enchanted Island with one of our fabulous Catamaran Cruises? 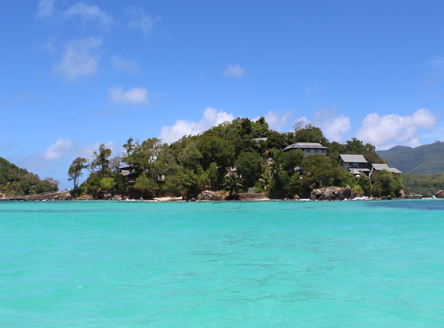 The luxury Enchanted Island Resort makes a great combination with one of our Seychelles Catamaran Cruises. We can then also tailor any 'Cruise & Stay' package, from luxury resorts to boutique hotels.